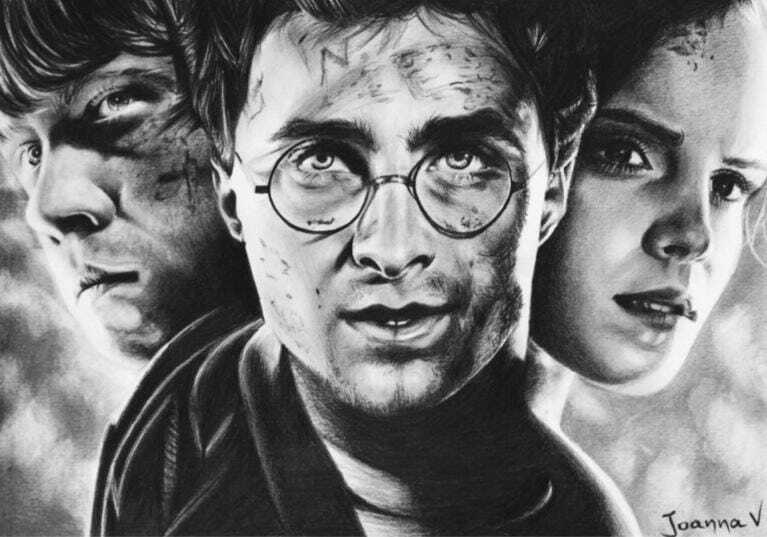 So, I started this graphite drawing the other day, after a veeeeery loooong break. Unfortunately, as expected, I had many issues, not having drawn anything in a while. I could not concentrate as much as I normally do, I had to take a lot of breaks and I had to overwork some parts in order to make them look good. And I chose the wrong kind of paper. And it dawned to me how much of a difference the right paper can make, and how much work the paper does for you! That doesn’t mean that you don’t need to make an effort, but it certainly helps. Let me explain. 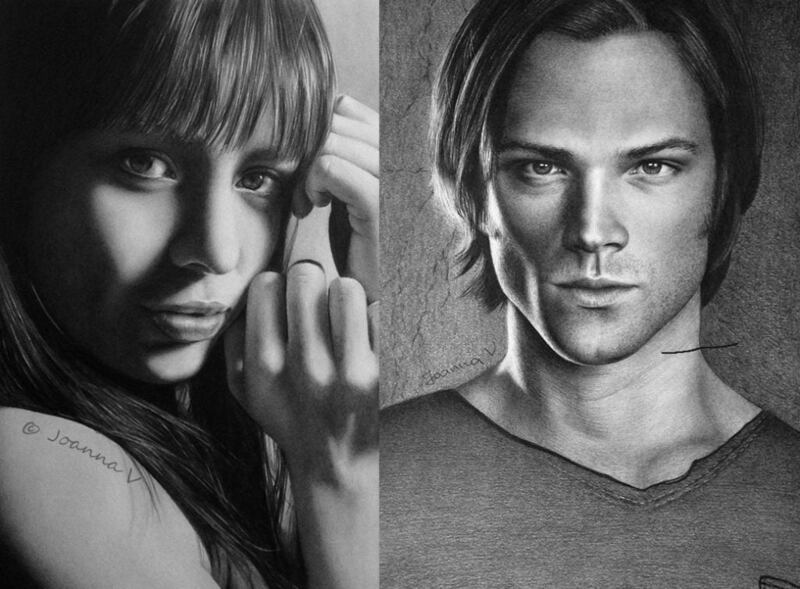 First of all, I have to say that I am basically a portrait artist and as such, my main focus is creating realistic skintones. In order to create skin texture, I take advantage of the paper texture. Paper can be heavily textured (having the co-called “tooth”) or extra smooth, or anything in between. And the best part: paper texture resembles skin texture! Which means that depending on the kind of skin I need to shade, the right paper does quite a job for me. So, how to choose the right paper? You probably have guessed it by now. The smoother I want to make the skin, the smoother the paper I draw on. When I shade an old male face I normally choose a heavily textured paper. And when I need to shade a flawless female face, I work on an extra smooth one. Which brings us on the next question. What happens if I choose the wrong paper? Can I shade a flawless female face on textured paper? Or a wrinkly one on extra smooth? Of course! 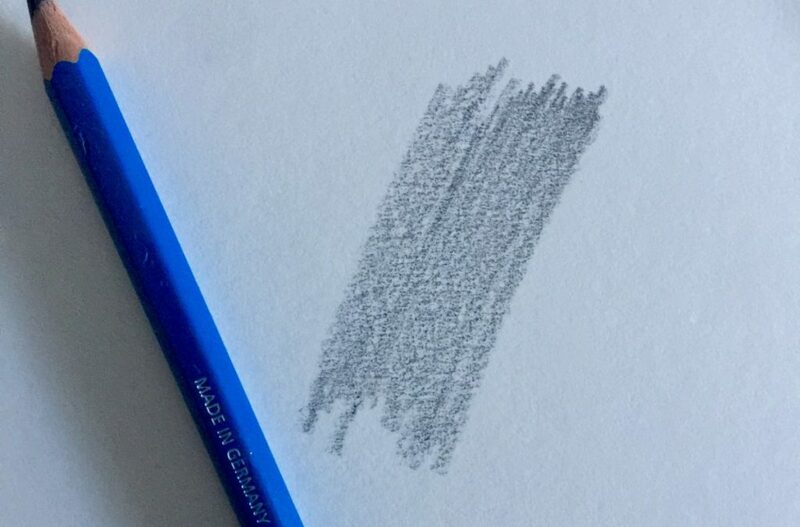 You can definitely blend graphite masterfully and create a flawless gradient on textured paper, and you can draw every wrinkle pixel by pixel to create texture on smooth paper. But requires a lot more work. As a young, working, wanna-do-everything mum, I always look for shortcuts in order to make my life easier. My drawing life too! So choosing the right paper saves a lot of time and energy. For Emilia, I chose a semi-textured paper. Even though I spent a lot of time blending everything together, her face is not as flawless as I would have liked. And then comes the most crucial question: How to choose paper when I want to mix textured and not textured faces/items/whatever. Well, you need to choose. Depending on what is the most important thing to the composition, you have to choose your paper. 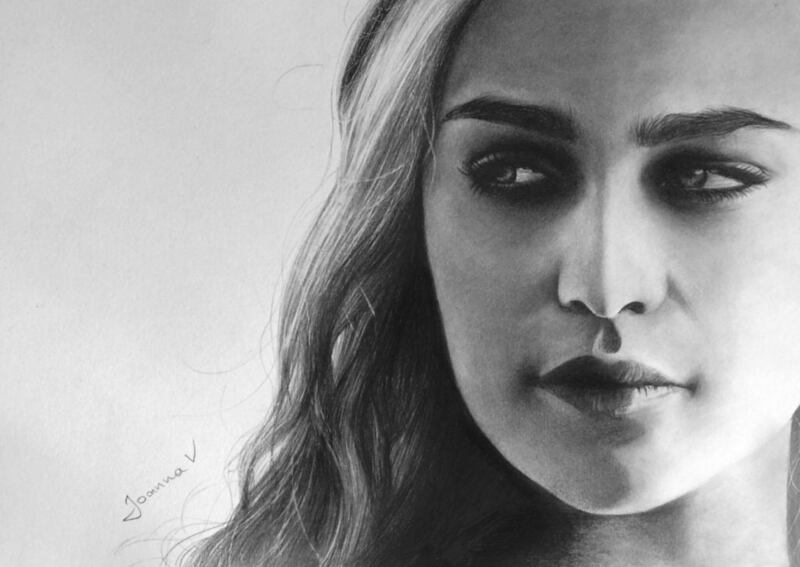 For some parts of the drawing it might be ideal, and some other parts would need more effort. But do not worry! The more you practice the better you’ll become, and you will get to choose your paper more efficiently. 2) Textured paper absorbs more graphite, and your dark parts might look darker than on smooth paper. You might wanna take this into account as well. 3) It is more easier to blend graphite on textured paper. 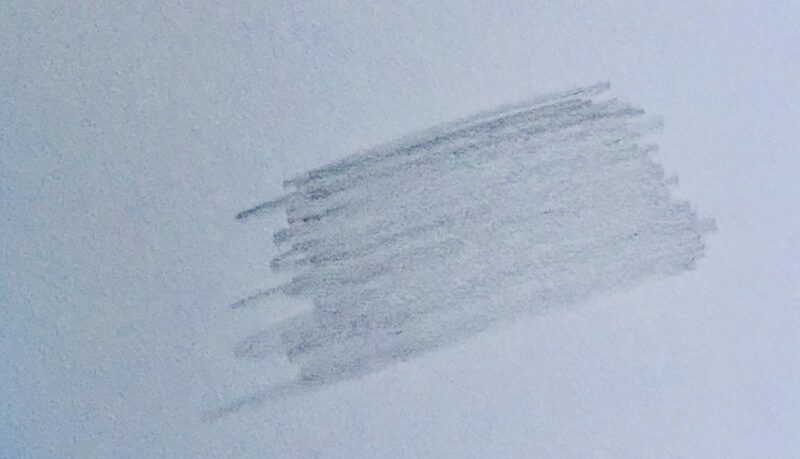 Quite contradictory, I know, but graphite can easily glide between the tooth of the paper. On smooth paper, however, blending requires more effort, as there is no tooth, and blending, if not done correctly, might cause smudges. If you are a beginner, I would recommend starting off with a medium textured paper. And finally, here’s Emilia in action, as promised!